Tonneau-shaped, or even square, dive watches are not new. Past examples either featured round elapsed time bezels on form cases, useless stationary bezels (as with the Roger Dubuis Easy Diver), or tonneau-shaped bezels turning on a round track (don’t ask). Franck Muller has smartly put the dive timer bezel on the dial, in between the hour markers and minute track. An orange triangle marks the start of the dive, while the first 20 minutes are highlighted in blue, a feature carried over from historical dive watches that relied on US navy dive tables that are no longer used. 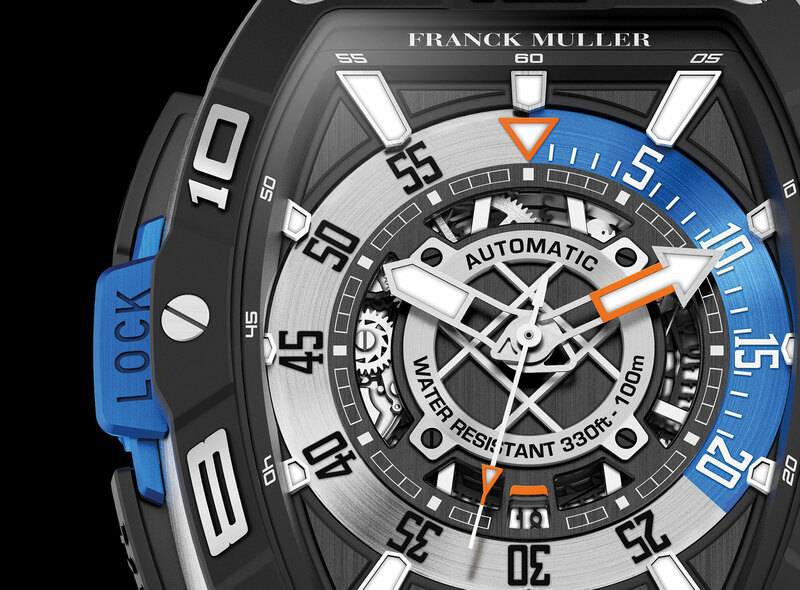 The inner bezel is operated by a pair of pushers on the left of the case: the button at eight o’clock advances the timing ring in one minute steps, while the upper button at ten advances it in five minute steps. A locking mechanism between the two buttons secures them once the bezel has been set, preventing accidental advancement. Inner elapsed time bezels are not new – Bell & Ross did it with the BR02 diver – but Franck Muller’s version is unusual, albeit fussy to operate. 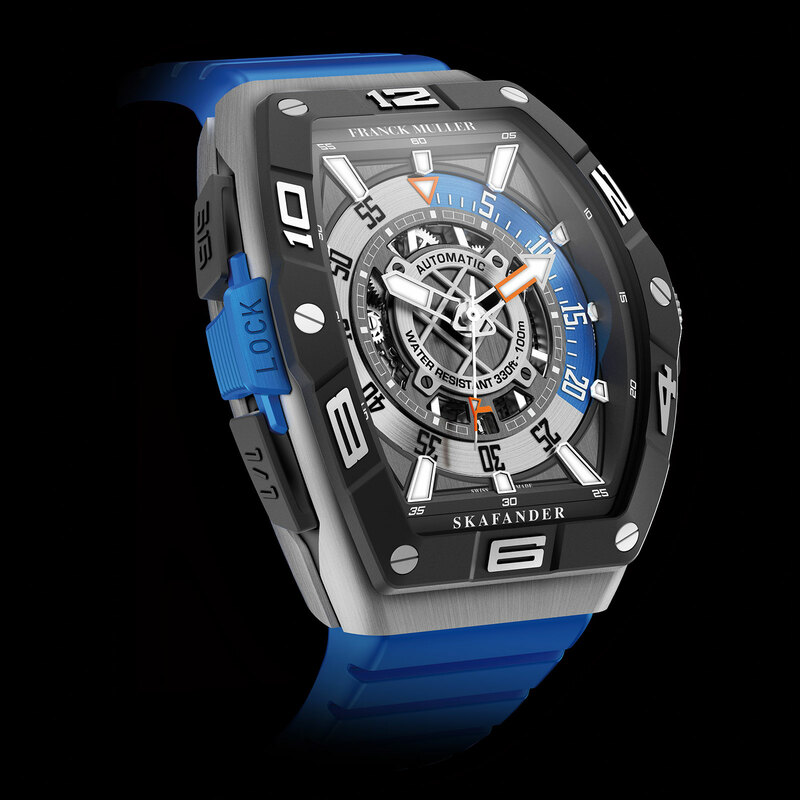 Rated to 100m, the Skafander diver is large, measuring 46mm wide and 57mm long, while standing 15.6mm high. It’s available in either steel or 18k rose gold, matched with a black-coated titanium bezel. The Skafander in steel (ref. SKF 46 DV SC DT) is priced at SFr13,800 or S$21,486. Delivery is expected in September 2018.